I'm a freelance Content Editor. This is an inborn obsession of mine, to analyze everything I read. I look for trip-ups in stories, the plot or even the knife the character forgot they had in their hand. I enjoy reading and noting as I go. 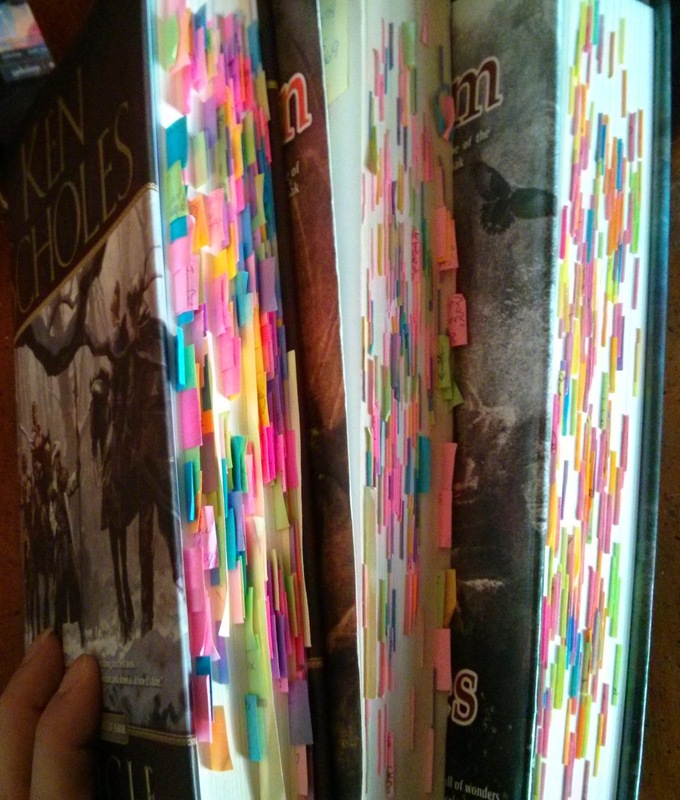 Even when reading a book for fun, I use colored sticky notes to keep track of the world, characters, and questions. I want to use this natural habit to help you and your work. I want to make your great work exceptional. I think the best description I came across and liked was Substantive Editing. It's my thoughts and opinion, as a reader, on your story as I read through it. I analyze your story. I read through your story and comment with thoughts and questions that cross my mind. I get to know your world, characters, and plot and share how I feel it flows. I question all things, and in doing so I find holes in your plot or inconsistencies that could easily be missed. I'll let you know if scenes drag or if they move at just the right pace. I'll even look for repetition in phrasing. WHAT GENRE DO YOU READ? I feel in my element with Fantasy. Fantasy is a vast genre. 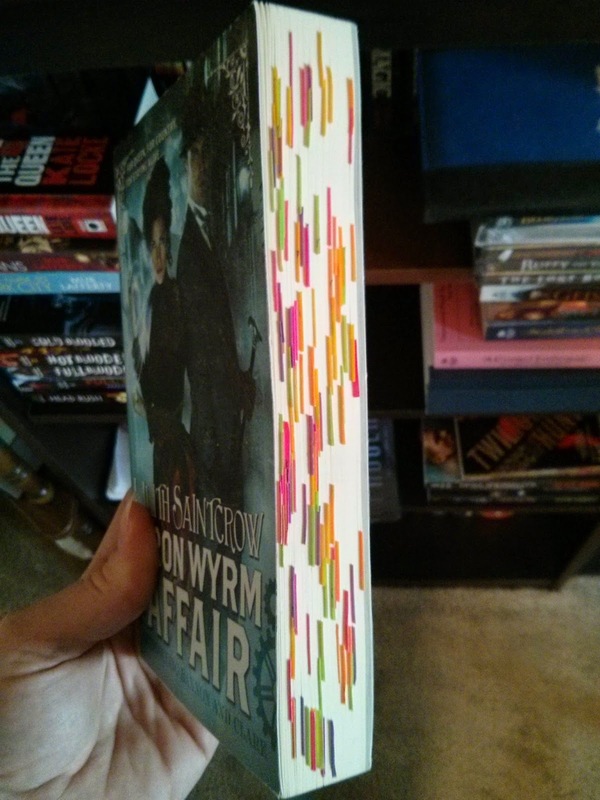 I read Fantasy, Urban Fantasy, Paranormal Romance, and more. Steampunk can fall in this class too. I read Science Fiction as well, but it's another vast genre. In Science Fiction I read light and character based. I do not read hard Science Fiction or military based Science Fiction. But contact me and we can talk about if your classification of book fits for me. However, I do not read erotica of any genre. I will be firm on this decision, and talk with you to see if we will be a good fit. WHY USE A CONTENT EDITOR? I'm like a beta reader, but I'm not your friend. I study your book. I nitpick. If I don't feel I understand something, I'll tell you. You will get a strong feel for what I am thinking as I read. Forecasts of what I think will come. Question why things happen and what the results could be. If I like characters or not (and not liking is not always a bad thing). If the story feels like it jumps instead of flows, I'll note that. CAN I ASK YOU QUESTIONS WHEN YOU ARE DONE? Yes. However! There is an administrative charge to go with this, but I highly suggest it. This is where I think you can learn more along the sense of what I took from the story. I keep this as a separate charge to keep my editing prices low. This way those who want the basic edit and no bells and whistles can get just that. If you'd like to include this process in your content editing package, we can discuss the budget you have in mind and the hours I will need to budget. WILL YOU DO COPY EDITING? No. I'm sorry, I know my limits. I'm an analyzer and that's what I want to do. If you need Copy Editing I know people I can direct you too. DO I HAVE TO USE WHAT YOU SAY? No, you don't. But you are paying me for it, so why not consider it? If you don't want to take my thoughts, I will not be upset about it, but you did pay me for it so it's worth considering. CAN YOU ANSWER QUESTIONS AFTER EACH CHAPTER? I'll need to know what genre the book, again not all genre are for everyone so this will be the first thing we iron out. An approximation of word count and what time frame you are looking at. Also, a down payment. I need to know what time frame you are looking at. I will go over my schedule with you in the emails. Depending on the novel length, it could take 2-4 weeks on a light schedule, or 8-12 weeks during busier times. I do take my time. I find I analyze better if I move at a pace that I can think while reading, or set aside and ponder, rather than barreling through a story. I want you get the best results out of me, so I will not rush. YOUR RATES SEEM HIGH COMPARED TO COPY EDITING. Content editing is usually charged more than copy editing. Why? There is a lot of thinking, analyzing, and looking back to make sure things blend and match. I take my time to do this, to think on the aspects you are putting out for the reader. Copy editing is directed mostly to the immediate sentence structure and phrasing. WHAT FORMAT DO YOU WORK IN? I use Microsoft Word and the Comments found there. When we get all questions ironed out, I'll need your manuscript in doc or docx. If you don't have Microsoft Word, you can also use OpenOffice, which is a fee word processor and will allow you to view my comments. SOUNDS GREAT. HOW DO I CONTACT YOU? Do you have other options you'd like to know if I'd do? Email me, we will talk and see what it is and where it falls. We are all professionals and can work together. I'm here to help you make your great story amazing. $0.005 per word. - $5 per 1000 words. Administrative Charges $15.00 per hour. I'll read and comment on your first 20 pages for $25.